Good evening, blog visitors, Kirsten here, happy Tuesday. A very quick post from me tonight to show you this little item. I needed a break from playing with papers & inks & paints, but this idea came to me & I just happened to have an empty jar. The little mermaid is from Hobby House. The lid was originally black, so I painted it with acrylic paints & added baker's twine & junk jewellery around the neck. There's blue embossing powder in the bottom & I added a little glitter to the shells. No brilliant techniques with this, it's just a little bit of fun & maybe it'll spark an idea for something different. I've been in contact with Lisa via email, she's fine, but very busy. We'll get together on Friday morning, before class, (the first classes of 2013 - yaaay!!! ), to catch up & I'll get the information on new products that she will have available. I also want to hear more of her CHA adventures. Both classes on Friday are fully booked, but Lisa does have a reserve list, so if you'd like to be added, please email her at enquiries@lisabdesigns.co.uk Dates of this year's classes can be found HERE. Places fill very quickly, so again, contact Lisa to reserve yours. There's still two days left before the end of this month's challenge, so if you've made a Spring-themed project, why not enter it, via the linky tool. You could win £20 to spend at lisabdesigns.co.uk Speaking of which, the SALE is still on. The bargains are disappearing fast, so if you feel the need for new stash, get in quick. Right, I have to go. I hope to be back to post the February challenge on Friday morning. Until then, happy crafting. How can that be possible?? I hope you're well & managing to keep warm. I seem to be adding an extra layer every day. This is a very quick post just to say hello. Both Lisa & I have been so busy that we didn't manage to meet before she left for Exeter yesterday - she's demonstrating for J&C Creations at the Craft 4 Crafters show at the Westpoint Arena - so I haven't anything new to show you. I took some time from working on my own projects to have a play with some Hobby House die cut toppers & came up with these. Some of the toppers are too large for the circle dies that I have, so paper doilies are very useful for adding a extra layer. & added the sentiment, which is from my stash. Thank you to everyone who has entered the January challenge so far, there's still a week to go, so if you're planning on doing some crafting over the weekend, why not make something with a Spring theme & upload it via the link? There's a £20 voucher to spend at lisabdesigns.co.uk to be won. The SALE is continuing on the website & it includes everything from stamps to pens to ribbons to dies. I've had a quick look & many items are in single figures, so if there's something you want grab it straight away. Thanks for visiting the blog tonight. Until next time, happy crafting. Hello again, Kirsten here with more of Lisa's CHA photos. And I have to start this post with a pic of the Duke of Distress, TIM HOLTZ. When I gave Lisa her instructions for CHA - ;-) - number one was to get a photo of Tim. Every year at CHA, Tim releases the most amazing new products & this year is no exception. I'm talking about terrific new stamps, gorgeous texture fades & dies & DISTRESS PAINTS. Yes, paints in the distress ink colours. You can find lots of information & videos of all the new products on Tim's blog. Lisa says the big trends at CHA for this year & probably years to come are vintage, mixed media & altered items & judging by the blog posts I've seen this past week, that definitely seems to be the case. Pieces such as these altered cabinets are very popular in the US & they are heading our way soon. I think this first one is Kaisercraft, the second is Prima & the third is from Hearfelt Creations. I could be wrong, so will try to find them on the correct websites & edit this later. But at least it gives you an idea. Another trend is adding jewelled pieces, such as large buttons & actual jewellery to projects. There are dozens, if not hundreds of blog posts, now online with lots of photos from & thoughts on CHA. Do a search for 'CHA 2013' & you will be spoilt for choice. This one, from One Lucky Day, shows the amazing artwork on the Idea-ology booth & this one by Anita Houston shows some of the new products launched by other companies. I think Lisa has more photos, so I will add them either to here, or to Facebook. If she gets time, she might even do a blog post herself. Before I finish, a quick reminder about the SALE, which is continuing on the website & the January challenge here on the blog - still lots of time for you to get your Spring projects entered. Morning all, Kirsten here, 'tis snowing rather a lot here in Kent. And in much of the rest of the country too, judging by the weather forecast. Hope you're warm & cozy, wherever you are. Since returning from California, Lisa has been madly busy sending out orders & working on other things, which are top secret & VERY hush-hush, so she has sent me some of her CHA photos to share with you. If you visit her Facebook page, you can see some of her Disneyland pics. These first two are of the Convention Center in Anaheim, where CHA Winter takes place every year. Don't let the sunshine fool you, it was COLD in California. I have a friend who lives in the desert, about 80 miles from Anaheim & it started snowing two days before CHA opened. 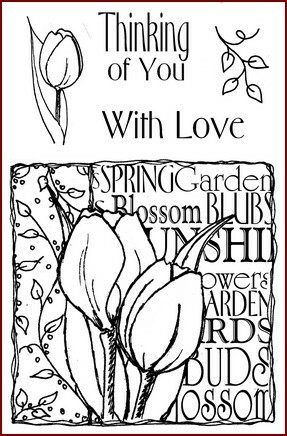 This is a beautiful vintage card from cheerylynndesigns.com. See this entire piece in the second blog post of Lisa's CHA photos. Introducing the new Spellbinders™ Artisan X-plorer™ Machine, a multi-purpose, high pressure machine! This elegantly designed, compact roller press is perfect for cutting, embossing and pressing with a multitude of materials, including paper, metals, fabrics, plastics and more! The Artisan X-plorer Machine accommodates Spellbinders Media Mixáge™ products as well as Spellbinders die templates and embossing folders up to 4¼” wide. It features the same idea of our color coded plates to either cut or emboss in a single pass. This will no doubt become your go-to crafting solution for all kinds of projects, from jewelry to home décor, adornments to art journals, cards, layouts, fabric arts and mixed media! With an integrated handle design, and weighing only five pounds, the Spellbinders Artisan X-plorer Machine is portable and convenient to use anywhere! The machine has a stability base to keep it in place during use. Shipping Weight with Mats: 7.0 lbs. Right, blogger won't let me post any more pictures in this post, (they've made some 'updates', which are incompatible with IE, apparently), so I'll end here & do other post immediately with more of Lisa's photos. Hello, Kirsten here, I just wanted to say hello on this chilly night. Hope you had a lovely weekend. I'm also hoping Lisa enjoyed her visit to CHA. I've been looking at the all the photos & videos that various attendees have been putting on Facebook, Twitter, etc. & feeling very envious of everyone who's there. Today is the last day & I think Lisa arrives home tomorrow, so I'm hoping to get a report from her soon. I wanted to remind you quickly about the SALE on the website. Lots of items have sold out, but there are still bargains to be had. The Imagination stamp set that Lisa used to make this card is 25% off & there are still some of the other sets in this collection available. We've had some more entries into the January challenge & there is still plenty of time for you to enter. Click on the link HERE or on the Monthly Challenge tab above. Let's not think about that. Instead, let's think about Spring flowers & pastel colours, especially as this month's challenge is 'Spring'. How about this card? This was made by Lisa, using Imagination's Tulips decoupage stamp set. 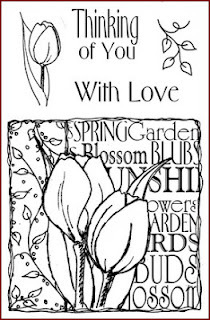 The idea is that you stamp your base image, then stamp again onto a different surface & cut out various pieces, such as the petals & the vine border, to build up layers. Here is a close-up. Lisa coloured the tulips with Spectrum Noir pens. When she cut out the petals, she attached them to double-sided adhesive - the coloured side on the adhesive - then peeled away the protective sheet, exposing the other sticky side & added clear glitter to that, meaning the coloured petal shows through the glitter. What do you think? Obviously, you can use lots of mediums to colour these images. You can make a paint with mica powders, or with distress ink. Watercolour pens work too You could use a thin layer of glitter glue, or a glitter pen, if you want sparkle, but don't have any double-sided adhesive sheets. There are TEN different sets in this range, including the very pretty butterfly & dragonfly sets & they all have 25% off at the moment. Once they're sold, Lisa won't be getting any more, so if you like them, don't delay. The details for the challenge are all HERE. I've added another of Lisa's Imagination cards there too. The SALE is continuing on the website. Lisa has added dozens of products, including a great many cutting dies, at bargain prices. They are selling out fast - in many cases, there's only one available - so if you see one you want, grab it. They won't be restocked. I spent some time with Lisa yesterday, making plans for future blog posts, amongst other things. She is leaving for California later on, to attend CHA, the American Craft & Hobby Association trade show in Anaheim. It's where all the American designers & craft companies launch their new products & we get to see what the new trends will be for 2013. If any of you follow blogs such as Spellbinders or Tim Holtz, you'll have seen sneak peeks of some of their new products this past week. Apparently, the Create & Craft tv channel will be broadcasting from CHA for the very first time, in the evenings over the weekend. Keep an eye on their website, http://createandcraft.tv for all the info on that. And if you're watching & see Lisa, ( I told her to wave madly, or jump up & down, lol), let us know via Facebook or Twitter. We won't hear from Lisa while she is away, but I have made her promise to take LOTS of photos, so there'll be a blog post, or three, all about her adventures, next week. I think that's all for now. Thanks for your continuing support. If you like what you see here & on the website, please spread the word among your crafting friends. I have finally secured the hall dates and have just pasted below the Brand New 2013 Workshop/Class dates. The first class on 1st February is fully booked but you can put your name on the reserve list. 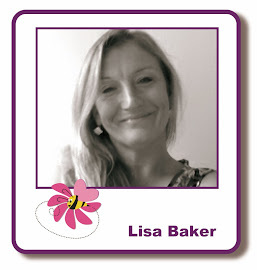 If you wish to book a Workshop/Class please email me at : lisabaker1@btinternet.com or call 01622 675078. If you didn't already know there is a huge SALE over on my website to make way for new goods this year with the CHA and NEC Trade shows coming up, so if you fancy bagging yourself a bargain or two then pop on over. Many items are up to 50% OFF so don't delay as when they are GONE, they are GONE and they are flying out!!! Morning all, I must do this before I forget yet again - especially as there's a big sale on the website, with 50% off many items. The winner could definitely pick up a bargain, or several. Congratulations Mags, please email Lisa at enquiries@lisabdesigns.co.uk to get your voucher code. Have fun spending! And don't forget, you can add the challenge winner button on the homepage to your blog. January's challenge is up, so if any of you have plans to craft over the weekend, why not enter? Wishing everyone a lovely Friday, take care. Evening blog visitors, Kirsten here. I've just been talking with Lisa & she asked me to tell you that she has spent all day putting some incredible bargains on the website. With CHA happening in California in two weeks & lots of British companies launching their 2013 products, she needs to make room for new stock. One reduction is 25% off Imagination stamps, such as these from this link. This is one of the cards Lisa made with this stamp. She stamped the butterflies onto acetate & covered them with glitter, making them sparkle beautifully. There are plenty of other reductions, such as 50% off Craftwork Cards items & Lisa will continue adding sale items for the rest of the week, so visit the website & grab yourselves a bargain or two. Hello again, it's a new year, a new month & we have a new blog challenge. Thank you for your lovely entries last month, I'll post the winner tomorrow. All the details can be found on the challenge page. I have been well & truly deserted by the Muse of creativity & had to force myself not to leave my craft room today until I had made something. I ended up with two wall hangings, made with the Hobby House Baby Fairies toppers. Here's the first one, it's so simple, but took me hours, because I couldn't make a decision about anything & more than one piece of paper & quite a few doilies ended up in the bin. I coloured the doilies with Worn Lipstick distress ink & cut the toppers with the largest circle & scallop dies that I have - the middle topper is 12cm in diameter - to fit them on the doilies. Thanks for visiting the blog, I've got to go & write a post for my own blog now. Until next time, take care. Thank you to everyone who visited the blog in 2012, left comments & took part in the challenges. Our intention is that the blog will get bigger & better in 2013 & we hope you will continue to support our efforts.